Is Los Angeles’ Super Bowl rating good or bad for the NFL? It might depend on where you live. In the fallout to the most boring Super Bowl of our lifetimes, there’s rightly been a lot of focus on the ratings. 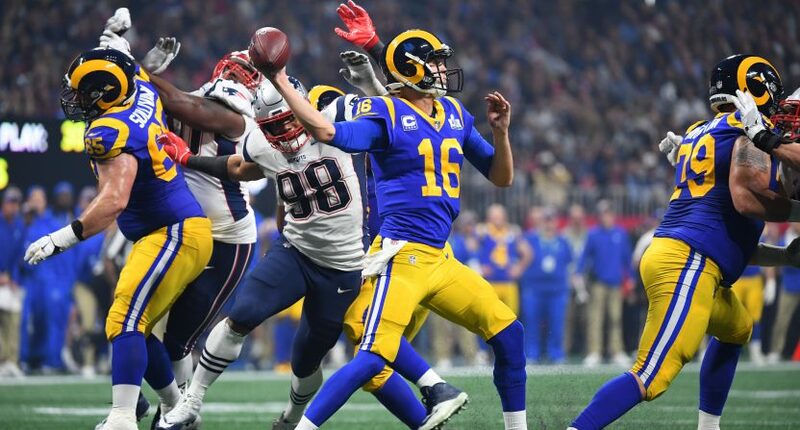 In spite of what seemed to be a compelling matchup between the Los Angeles Rams and the New England Patriots, viewership for Super Bowl LIII sinked to their lowest levels in a decade. This decline for the Super Bowl came as a surprise in large part because ratings for the NFL had been up throughout much of the regular season after a couple years of declines across the board. In looking for the reasons behind the ratings dropoff, the quality of the game was certainly a leading factor in the ratings slide for the Super Bowl nationally. Then there’s the whole idea of Patriots fatigue sinking in as well. Finally, much has been made of the Super Bowl audience in New Orleans effectively being cut in half thanks to many Saints fans boycotting the game after their controversial NFC Championship defeat. But what about the Los Angeles market? Did the NFL see any additional viewers from the Rams making it to the Super Bowl after their return home. Of course, the NFL’s move back to Los Angeles has been subject to much scrutiny and the perception exists (fairly or not) that the market really could care less about the Rams (and especially the Chargers). When it comes to the ratings in the local market for the Super Bowl, Los Angeles has also been blamed for not duplicating what other home markets have pulled for the game in years past. But when you break down the numbers, you’re able to spin it in whatever way you’d like to fit a narrative. The Los Angeles market drew a 44.6 rating for Super Bowl LIII. It was well behind Boston’s 57.4 rating and even fell behind the national average of a 44.9 rating. However, it was also the highest rating Los Angeles had drawn for a Super Bowl since all the way back in 1996. Now there are two ways to look at this and it’s interesting to see the dueling perspectives. Nationally, Pro Football Talk also went with the angle that Los Angeles was below the national average. Of course, we can all understand why St. Louis would be so bearish about the Rams in Los Angeles. The only local rating lower than the one Los Angeles pulled for the Rams on Sunday was New York’s 40.6 rating for the Giants’ blowout loss to the Ravens in 2001. Both of these headlines are factually true. Support in Los Angeles is up for the Super Bowl compared to years past because of the Rams’ presence. However, the overall rating is far behind what other markets draw for the Super Bowl. In actuality, this should make sense. Los Angeles is the second-biggest Nielsen market only to New York with a metro population over 11.5 million. It’s literally almost 10 times bigger than the New Orleans market. Even the smallest of increases in Los Angeles is going to dwarf any increase or decrease in any other market not named New York. So the fact that the market finished 33rd out of 56 metered market cities is somewhat respectable, even if it doesn’t represent a rabid fanbase where the Rams dominate the city. The sheer total numbers (not the averages) are one of the reasons why the NFL so desperately wanted to return to the Los Angeles market. Because of LA’s size, even a small blip on the radar is equivalent to huge surges in popularity in other markets around the country. It doesn’t mean that Los Angeles is any better or worse than any other city with an NFL franchise, it just really makes logical sense in how the numbers should work when the samples are so wildly different. What will be more interesting and make more of a lasting impact is how Los Angeles continues to get behind the Rams on a weekly basis and if those numbers increase throughout 2019… and whether the Chargers can even outdraw the Cowboys.